Be it a country club, a hotel or a beachside resort, make sure you find an event venue that can meet all your corporate retreat event needs. Here is a list of corporate retreat friendly venues, many of which boast outdoor facilities for team-building events, group breakout spaces and health and wellness services to pamper and reinvigorate the overworked employee. 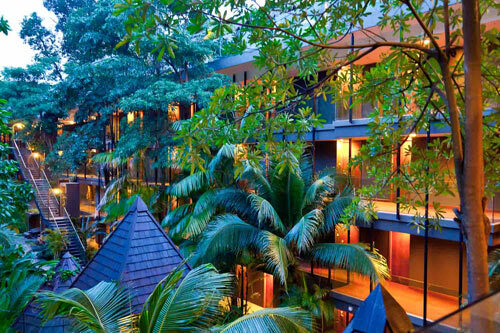 Being on Sentosa island, Siloso Beach Resort blocks out the hustle and bustle of the city so that employees can forget about their work and immerse in a whole new environment, amidst lush greenery and seaside views. Why not plan some teambuilding water activities? Siloso Beach Resort also boasts beautiful outdoor facilities and locations for adventurous and memorable team building activities. 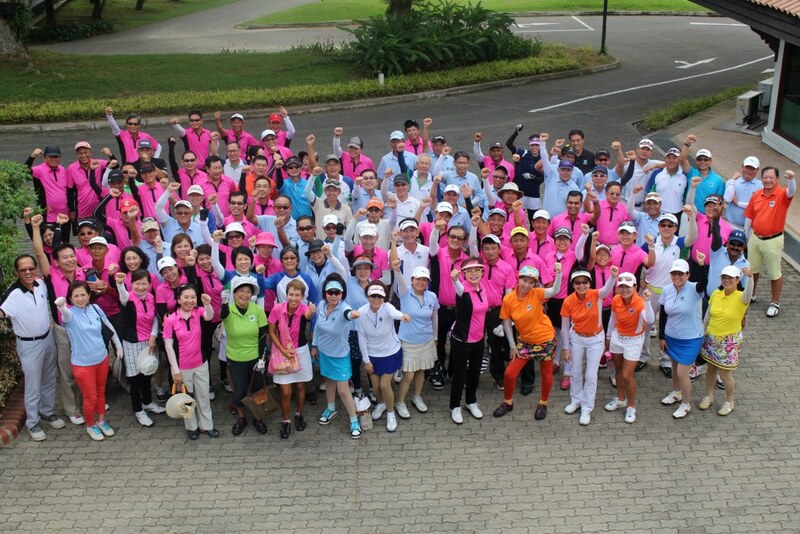 The Orchid Country Club is replete with facilities for every of your corporate retreat need, be it staff health and wellness, golf, outdoor teambuilding space, restaurants, bowling alleys, casinos and karaoke, all in one place. It’s also far from the cityscape of Singapore, allowing your employees to relax and forget about the office. There are many event spaces suitable for concerts, get-togethers, dinners and more. Are you looking to create your own event? If you have already booked a chalet or accommodation on Sentosa, why not consider bringing employees to Wave House Sentosa for a memorable time. Wave House Sentosa is the iconic beachfront venue that offers world famous FlowRider and FlowBarrel wave rides and the ultimate beach lifestyle experience in Singapore. Wave House Sentosa offers a 70,000 sq ft versatile space that can be molded and adapted to cater to all group sizes from intimate celebrations to 7,000 guests capacity events! With endless fun and the challenge of the Double FlowRider and FlowBarrel sheet waves, Wave House Sentosa easily converts to a private club and water park, with the full bar and restaurant facilities, seating indoors and outdoors, professional sound system and stages. Your teambuilding activities can really push the limits and be remembered by employees for years to come. Riding on the waves, who would have the time and mind to think about work? Want a posh corporate retreat? Still miss the Singapore skyline? Then a corporate retreat at the Conrad Centennial could be for your event planning needs. Conrad Centennial is sure to pamper employees and make them feel like kings and queens. There are spa and fitness facilities, and is in close proximity to world-class shopping, dining halls, conference rooms, pool pavilions and a ballroom. The quintessential place for a corporate retreat, Changi Cove hosts a variety of meeting and event spaces, as well as outdoor areas for group discussions, ice-breakers and team-building activities. Informal and away from the city, each room comes with special walls that allow guests to write and doodle on. Each room also comes with a Smart TV, Nespresso machine and complimentary Wifi. Catch the sunrise at Changi Point Boardwalk, a 2.2 km promenade which lies only a few minutes away from Changi Cove. It is a great place to stroll, jog and fish. Pulau Ubin is an island accessible by a short ferry ride. 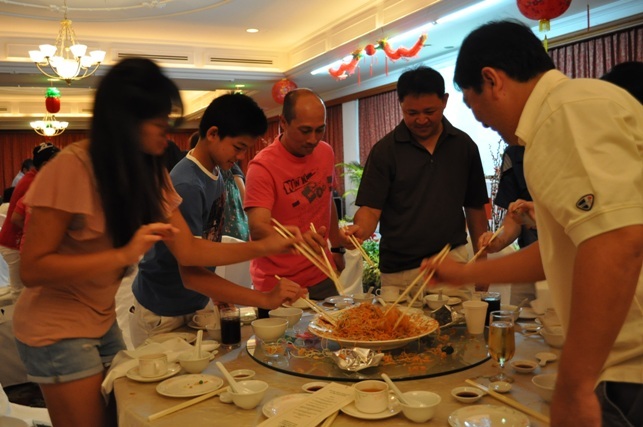 It offers a variety of activities for groups to explore, interact and bond. Chek Jawa is a nature reserve located within Pulau Ubin and can be admired at during low tides. Changi Village is a modern village coupled with nostalgia. It exudes a laid back environment filled with local delights such as Nasi Lemak and Chicken Rice. 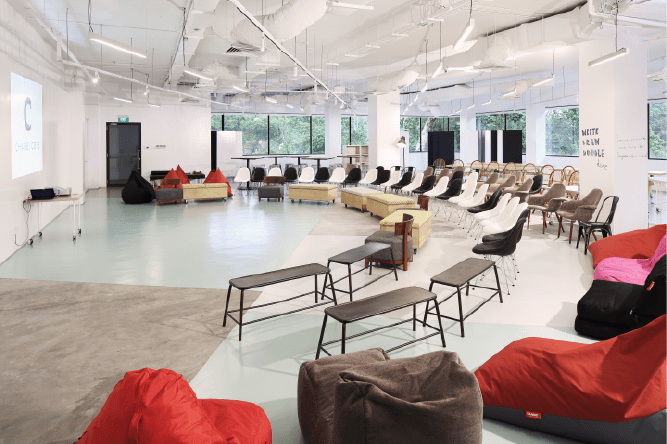 If you hope to have company retreats for brainstorming and coming up with fresh ideas, Changi Cove offers an incubator space, inspired by the creative coworking spaces found in the city. Participants can freely doodle, write or draw on the walls of the Incubator, a popular feature with organizers of company retreats. The Incubator also comes with a mixture of furnishings such as high chairs, high tables, movable tables and chairs, bean bags, sofa seatings etc. Event Mangement Software company, EventNook is an online event registration & ticketing platform where organisers can set up and customise their very own event page. Through it, organisers can collect attendees’ information and their payment using a real-time dashboard. Features such as Automated Email Confirmation and QR Code Check-In make the job of event organisers much easier and more efficient. Recently, EventNook launched an Event Venues Directory which provides information on more than 5,000 venues in Singapore, Thailand, Malaysia, Myanmar and Hong Kong, making one of the best places on the web to look for venues in South East Asia. Every professional networking session tries to strike a balance between a sophisticated ambience, a conducive environment for networking and plenty of drinks to go around. So how can you set your event apart? 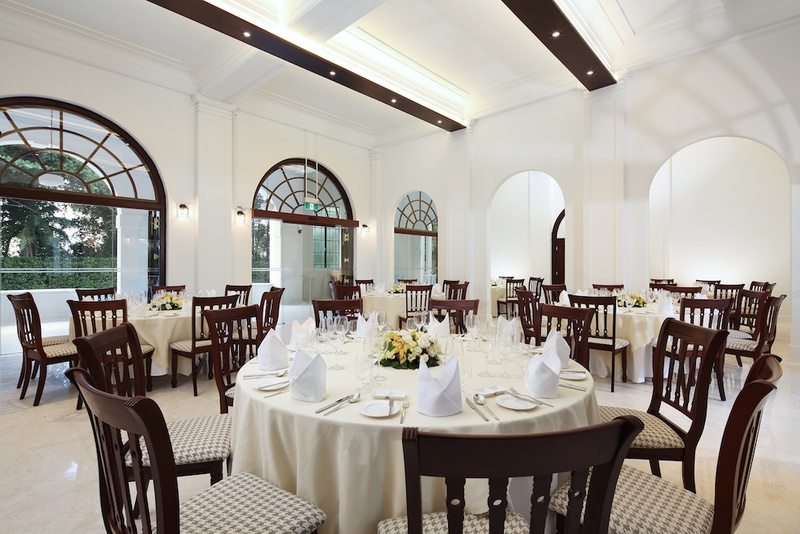 The event venue can help make your networking event that much more memorable, and Singapore has loads to offer event planners organising professional networking sessions. Housed within a quaint restored shop house, Acid Bar draws you in with its intimate ambience and soothing melodies. Designed for both the casual and sophisticated; naked Edison lights add to the to-be-seen vibe of this hidden joint. Fused with its inviting acoustic rhythms – from jazz, pop and rock to classic evergreens and alternative numbers – by its resident bands, this venue will make your networking event classier and more fun! If you want a relaxing, cozy and musical networking session with great food and drinks, then Acid Bar is the place to have your next professional networking session! CANVAS aims to develop a content-rich environment, providing a unique social gathering and entertainment lifestyle space. The furniture can be moved around, you have state-of-the-art audiovisual equipment and team, as well as a great bar. CANVAS is creatively programmed with international, regional and local artists in digital art, music, installations, street art, photography, fashion, and film, to create a highly artistic and unique venue. It is one venue that will wow your networking guests. Canvas transforms from a daytime art gallery into a forward-thinking nightclub, delivering a truly different lifestyle experience to its patrons. A truly unique and flexible venue, EventNook also hosted its own networking session- Chill Out with Event Professionals here in July! Outdoor networking for when the sun goes down. The wall extends to a projector as well! KU DÉ TA provides a backdrop and atmosphere that is spectacularly unparalleled and unforgettable. 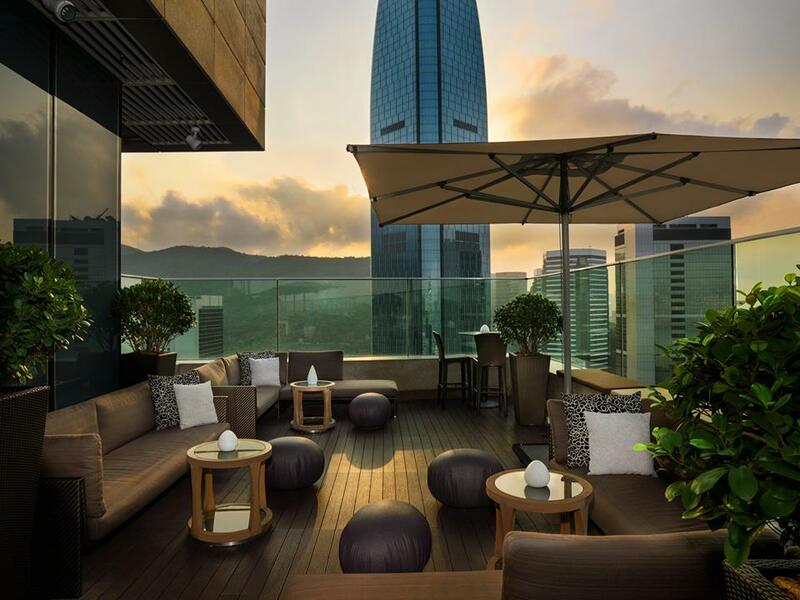 Set against the Singapore skylight, make your networking session truly cosmopolitan with this breathtaking venue. Designed and crafted to optimise the stunning 200-metre-high views of Marina Bay Sands, while providing a versatile space for intimate or grand functions, Ku De Ta is another venue that will leave a lasting impression amongst your guests. The backdrop is also a great setting for conversations to spark, as well as give off a professional and sophisticated flair. Whether it’s an all-business gathering by day or a celebration by night, Ku De Ta has the space, capacity, custom menus, staff and professionalism to deliver a truly extraordinary event. Not located at a prime location like the other venues on this list but if you are looking to plan a startup networking session then this will be a great fit. 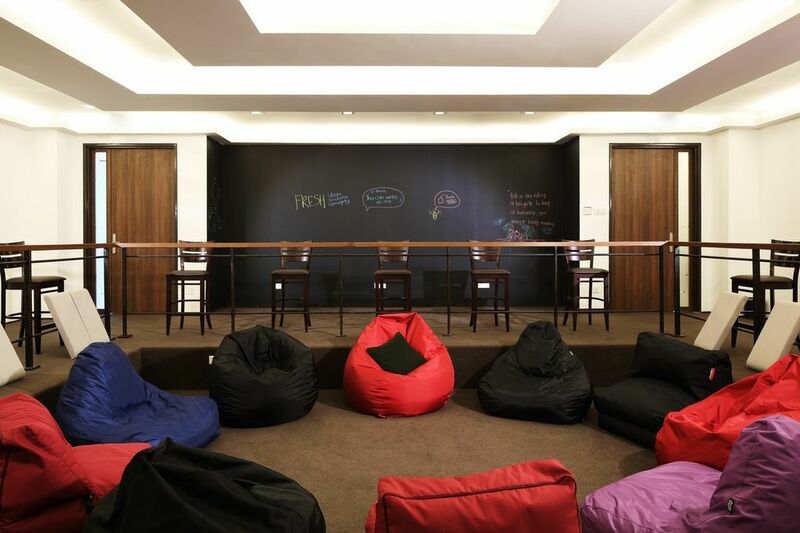 Open to startups working at Blk 71, this place holds its own networking sessions every week for its own startups! Located in the heart of Ayer Rajah Crescent which houses the highest density of Singaporean startups, you will be in close proximity to your guests if your networking session is targeted at startups. It has a casual setting and can be very flexible to your needs. It truly embodies the startup culture and your guests will feel right at home to strike up meaningful conversations and build lasting relations. The Timbre venues pride itself for being the performance place for local artists. 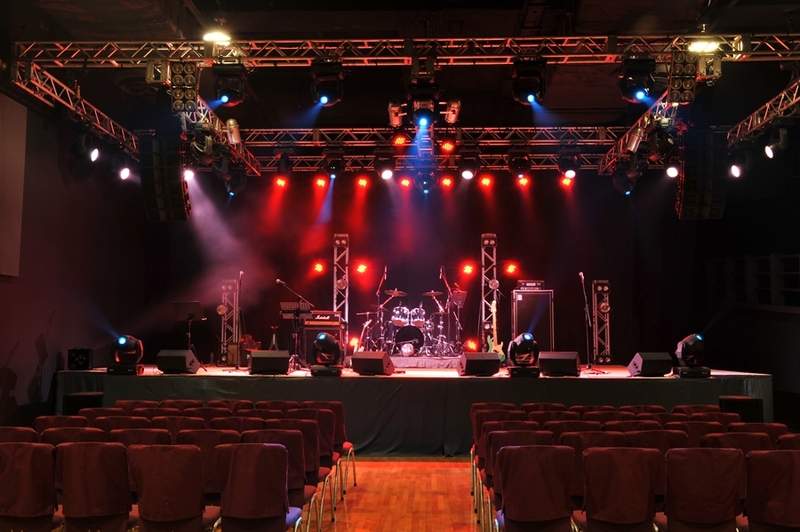 Booking out the venue will give you great staging equipment required for any presentations or spontaneous karaoke sessions, sure to make your networking session a very musical and lively one! With a seating capacity of 250, you don’t have to worry about jamming all your guests into uncomfortably close quarters. There will be seats all around so that guests can network comfortably. And Timbre is well-known for its food and beverages as well. This will make your guests want to stay longer and mingle! Looking for your next event venue in Singapore? Organizing or Planning an event? Try out EventNook for online event registration, event ticketing and onsite event registration and check-in! 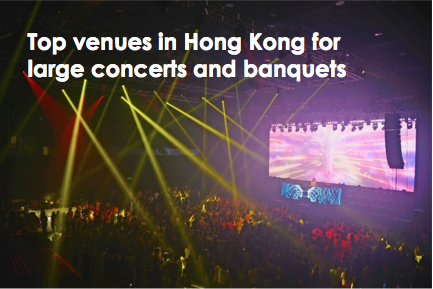 Hong Kong offers many cosmopolitan venues great for large-scale concerts, corporate seminars and banquets. These top 5 venues in Hong Kong bring the best of the East and the West, as well as scenic views of Hong Kong’s hilly landscapes. East Hong Kong offers a waterside view of the spectacular Hong Kong skyline and its distinct hill landscape. It is great for relaxing banquets, seminars, corporate functions and social functions because of its ceiling to ground windows that let in plenty of natural light. 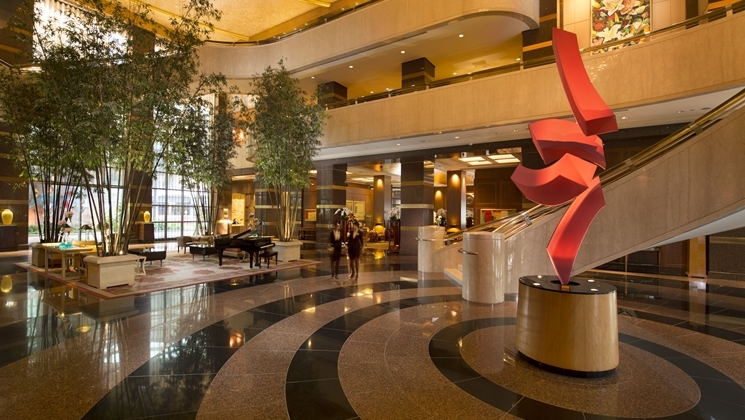 Located in the heart of Hong Kong Island, Harbour Grand Hong Kong is conveniently located near to commercial, exhibition centre, shopping and sightseeing spots in Hong Kong. All rooms in this venue have access to stunning views of the Victoria Harbour and guest rooms are fully equipped with a multi-purpose Fax / Copy / Scanner / Printer. Bathrooms are also incorporated with LCD monitors to keep busy executives abreast of the latest news. 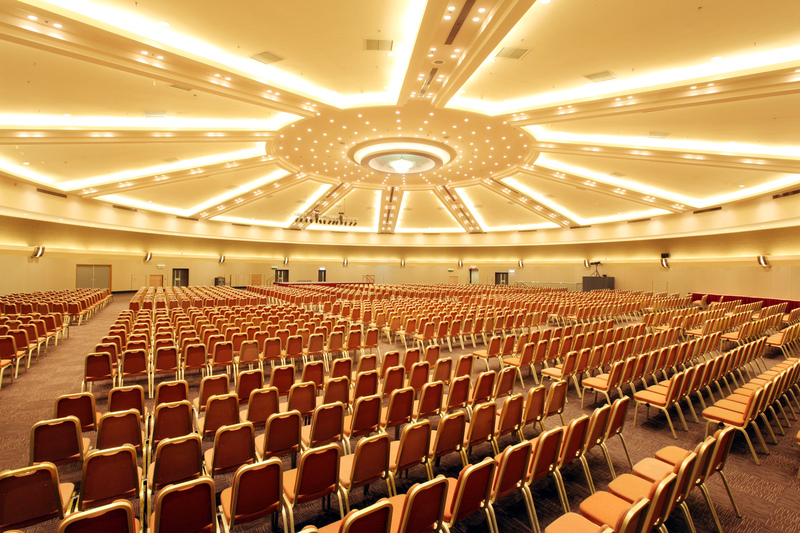 With a total of 12,685 square ft of meeting and banquet space, the 6,200 ft square pillar-less Grand Ballroom with 22-feet ceiling height can accommodate up to 700 guests in theatre-style. The seven function rooms are flexible in configuration and are perfect for banquets, seminars and conferences. Located in Kowloon Bay, KITEC (Kowloonbay International Trade & Exhibition Centre) is a fully integrated exhibition and convention centre suitable for banquets, seminars, concerts, public shows and exhibitions. It includes 8,300sqm of exhibition and convention space and function rooms. 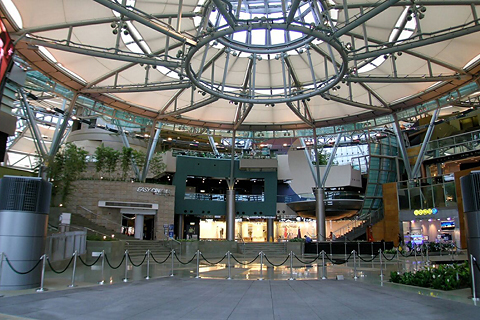 “Star Hall”, capable of accommodating 3,600 audiences, is a perfect venue for premieres and entertainment activities. 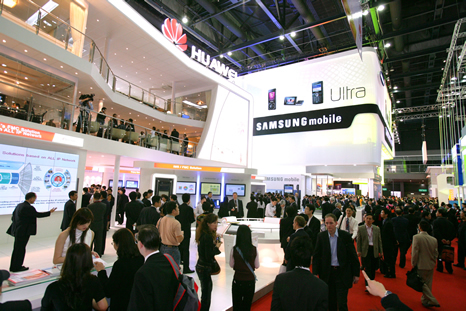 AsiaWorld-Expo is well-suited for professional exhibition organisers, exhibitors and visitors. The world-class exhibition venue offers a total of more than 70,000 square metres of exhibition space, including 10 ground-level, column-free exhibition halls with high ceilings. AsiaWorld-Expo, Arena is equipped with premium acoustic panelling systems, modular seating systems and star-quality backstage facilities. Since its opening in late 2005, AsiaWorld-Expo has been Hong Kong’s venue of choice for a number of successful, large-scale international exhibitions, including ITU TELECOM WORLD 2006, a series of China Sourcing Fairs and the Asian Aerospace International Expo and Congress. Cyberport Conference & Exhibition Centre (CEC) offers a wide range of indoor and outdoor venues, all set in spectacular surroundings on the low-rise, low-density site by the shore of the South China Sea. It meets the needs of all occasions in Hong Kong– from seminars, training sessions and conferences to promotions, exhibitions and charity events. 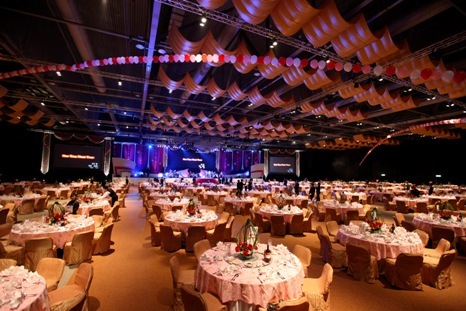 With its elegant and spacious environment, inspirational and creative setting, well-equipped facilities, full catering capabilities and an experienced event management team all in one, Cyberport CEC is one-of-a-kind, making it the ideal venue for every organiser who wants to impress its audience and guests in Hong Kong. 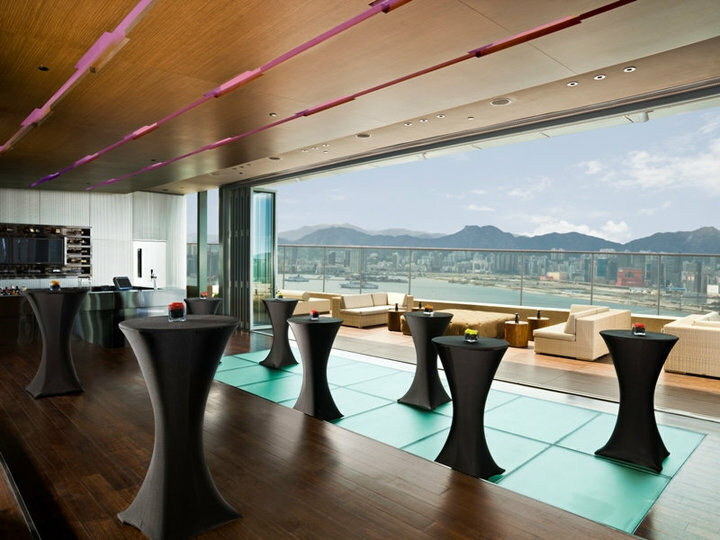 Looking for your next event venue in Hong Kong? Try it Free and Free for Free events! Thinking of moving your corporate function to the sandy beaches of Phuket where the Sun meets the Earth? 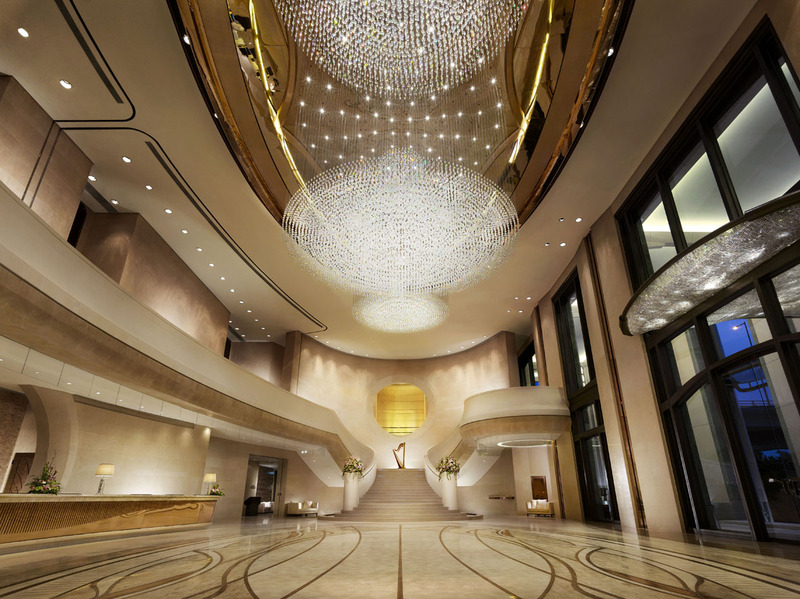 What about the modern and cosmopolitan meeting and conference venues in Bangkok? Be it a corporate retreat, corporate meeting or business conference, Thailand’s abundance of great venues, sea views and hospitality is sure to wow your event attendees. 1. Pullman Phuket Arcadia Naithon Beach, Phuket A venue located high above ground, you will get a spectacular panoramic view of the Naithon beach, one of the best beach venues in Thailand, wherever you turn. Not only is its natural surroundings a feast for the eyes, the peaceful and luxurious design of its meeting rooms makes it the perfect corporate function or meeting venue in Phuket. The perfect venue for your next corporate retreat, treat your staff to a well-deserved break with this luxury rainforest corporate retreat venue. Want a unique corporate function venue nestled amongst the tropical mountain forests of southern Phuket? Then the Villa Zolitude will make a wonderful corporate retreat destination for up to 50 guests. The resort offers flexible event spaces from the expansive function area, private pavilion (sala) in the sky, main poolside wooden terrace or within the grounds of the grand Four Bedroom Pool Residence. Accommodates up to 350 delegates in theatre style and 290 guests in banquet style. Swimming pool with a 55-metre water slide and a wide range of activities such as tennis and water activities. 4. Centara Watergate Pavillion Hotel Bangkok, Bangkok Unlike most of the other venues in this list that is set in seclusion and nature, Centara is located in the heart of the city, within the fashion and cosmopolitan district of Pratunam. Set against the backdrop of an exciting city, your corporate function will ooze of modernity and buzz. This is the cosmopolitan corporate function venue in Bangkok if you want a modern event feel. Versatile Grand Pavillion spans over 180 square metres and accommodates up to 200 persons for a cocktail reception and seating 160 in theatre style. The meeting venues are supported by fully adaptable conference and presentation equipment including video teleconferencing, LCD projectors and screens, and wireless internet access. Rooftop WALK is ideal for relaxed functions and distinctive events. 5. Renaissance Bangkok Ratchaprasong Hotel, Bangkok A venue located conveniently in the city centre, the best of the city is right outside your doorstep while the hotel offers a serene respite from the city’s buzz. The interior design is modern, chic and luxurious, and will make for an inspiring and professional business conference and meeting venue right in the heart of Bangkok. State-of-the-art fitness center with an indoor pool and the Quan Spa, where guests can enjoy signature Thai treatments in a tranquil setting. Stowed away on a quiet and serene island, the Regent Phuket Cape Panwa will be an unforgettable corporate function venue for your event attendees. Their state-of-the-art business facilities include 2 separate boardrooms suitable for different events while the astounding surroundings will put any stressed person at ease for a productive meeting and memorable retreat. 7. 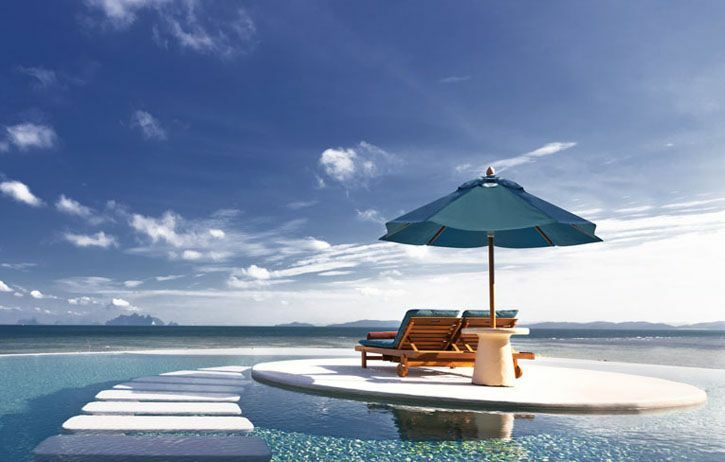 Point Yamu by COMO, Phuket Located at the tip of the isolated Cape Yamu peninsula on Phuket’s east coast, Point Yamu by Comon is a luxury resort venue which offers its guests all-around views of the Andaman Sea. It is an intimate venue with bespoke and chic interior design. It is perfect as a senior management high-level meeting or corporate training venue. Open-air venues with spectacular sea views and an opulent Private Dining room for special celebration dinners. 8. The Continent Hotel, Bangkok Another hotel right in the heart of Bangkok, this cosmopolitan corporate function venue is conveniently located near transport, shopping malls and major tourist attractions. They offer flexible meeting spaces with choice of wall partitioning, as well as venues with the best panoramic view of the city. The venue for gigantic events, this hotel and convention centre has a professional design with sleek decor. It is perfect as a large-scale conference venue or exhibition venue for any company. It is only 10 minutes by car from Don Muang international Airport and 45 minutes from Suvarnabhumi International Airport. 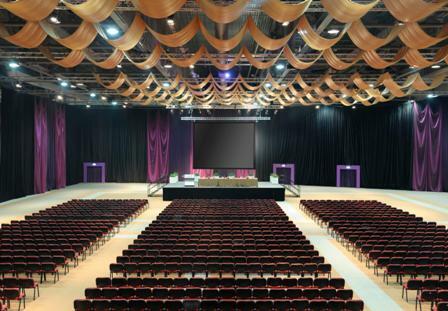 A large hall measuring at 1,710 square metres venue with ceiling height of nine metres. Ample reception area with a glass wall giving a panoramic view of the complex. Organise a memorable corporate function at this paradise on Earth. The breath-taking natural settings of The Naka Yai Island is sure to inspire anyone who sets foot on it and will breathe new life into any corporate function. It is great as an inspiring and unique corporate function venue or relaxing beachfront retreat location in Phuket. 25 minutes from Phuket International Airport and a 10 minutes speedboat journey to the island. Looking for your next event venue in Thailand?